The Sarnia Sting’s 19th annual Teddy Bear Toss game, in partnership with Lambton Ford, is Sunday at 2pm against the Niagara Ice Dogs at Progressive Auto Sales Arena. Since its inception, the event has generated over 50,000 stuffed animals, divided among local charities. Arizona Coyotes defenceman and Sting alumnus Anthony DeAngelo scored the clinching goal in 2014. Former Sting captain Daniel Nikandrov, who now plays for York University, scored the teddy bear toss goal in 2012. He says it’s something he’ll always remember. Both DeAngelo and Nikandrov predict Nikita Korostelev will score the teddy bear toss goal this year. 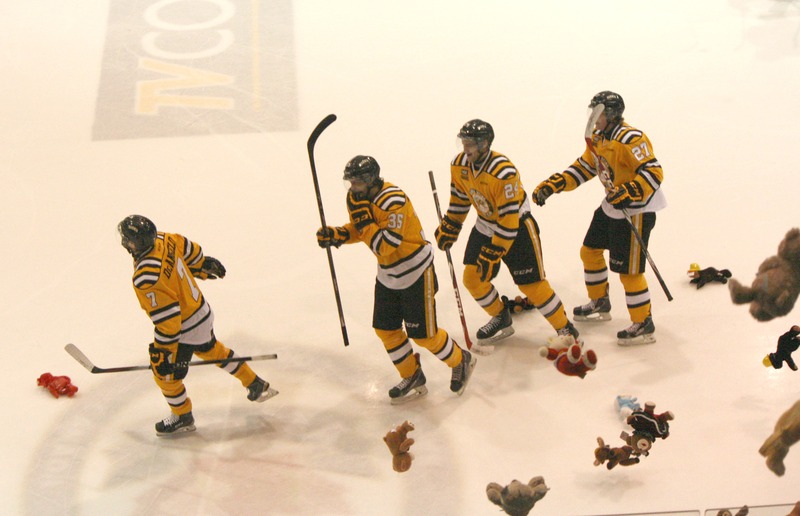 Other previous teddy bear toss goal scorers include Matt Mistele, Reid Boucher, Nick Latta, and Justin DiBennedetto. You can hear Sunday’s game live on CHOK beginning with the pregame show at 1:30pm.